BITCOIN / BITCOIN CASH NEWS !! A new digital currency called "bitcoin cash" (BCC), created by the splitting of the bitcoin blockchain, is rapidly rising in price despite lacking crucial support from parts of the cryptocurrency community. "There's no infrastructure available out of the box, to support BCC," warned Fran Strajnar, co-founder and CEO of data and research company Brave New Coin. 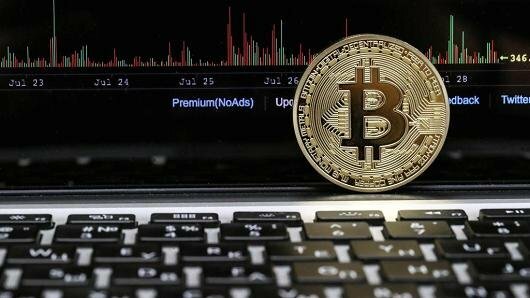 "The network needs further support and infrastructure needs to be as easy as bitcoin; otherwise it's over for BCC," he told CNBC via email on Wednesday. The new currency token, "bitcoin cash", was created on Tuesday when a section of the bitcoin community forced the blockchain (the digital ledger which records every bitcoin transaction) to split into two separate chains. Everyone who held bitcoin before the split was entitled to the same number of "bitcoin cash" tokens, effectively receiving a free dividend. In the hours after the blockchain split, the price for the new token fell close to $214, according to CoinMarketCap. But the price has since rallied as more transactions of the new token take place. It is currently trading around $628.37. Despite the rapid price rise, it is worth just a fifth of the original bitcoin, which is currently trading around $2,763.92, according to industry website Coindesk. The blockchain split is the culmination of a long-term scaling debate within the digital currency community. Before the split, only 1 megabyte of transactions could be processed at any one time, which led to delays. One solution was SegWit2X, which uses a system called "segregated witness" to increase the network's capacity, and will later double the number of transaction to 2 megabytes. A sector of the community unhappy with this solution instead pushed to split the blockchain and create "bitcoin cash". This new chain has a transaction limit of 8 megabytes. The blockchain split may mean the two sides of the community will now stop arguing, hopes Linus Lindgren, strategic investor and advisor at BTCXIndia. "Instead (they can) focus all their energy on developing their respective project, in whichever direction they deem best to achieve the goal that's important for them," he told CNBC via email. "And if both sides goes back to coding instead of arguing, I think that's likely to be positive for the ecosystem overall." The blockchain split occurred at 08:37 a.m. ET on Tuesday, at which time "bitcoin cash" traded around $290. But a big problem facing "bitcoin cash" is a lack of support from the mining community. Miners are needed to verify transaction on the bitcoin blockchain and this requires a large amount of computing power. The process is meant to take roughly 10 minutes, but the less power that is available, the longer the process takes. After the blockchain split, it took more than 5 hours for the first block of "bitcoin cash" transactions to be mined. This indicates that only a small number of miners are working on the new token. So far, only 12 blocks of transactions have been mined. The last block was around 10 hours ago, at the time of writing, according to data website Blockdozer Explorer. So far, only one of these blocks has taken advantage of the larger transaction limit offered by "bitcoin cash." A Bitcoin cryptocurrency souvenir coin. This lack of support and long processing time means several digital asset exchanges are freezing deposits and withdrawals until the process time gets back to under one hour, according to Strajnar. The market focus will now turn to the original bitcoin, where the transaction limit remains at 1 megabyte. It is expected to double to 2 megabytes later this year, but it is possible the miners supporting it could renege on this decision, which would create problems. 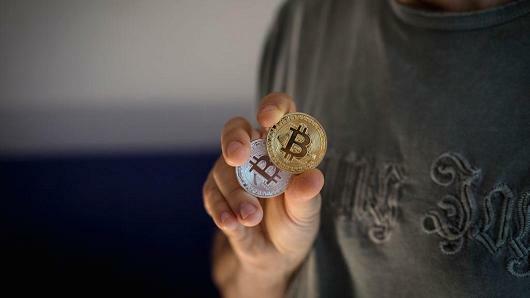 "There could be yet another split and a resulting third bitcoin branch," digital currency investor Joseph Schweitzer warned CNBC via email. "Like any open source code, the number of splits that can take place are limitless, and really just a question of market viability."